Scenes from sampling a provenance planting of pitch pine in May 2010. 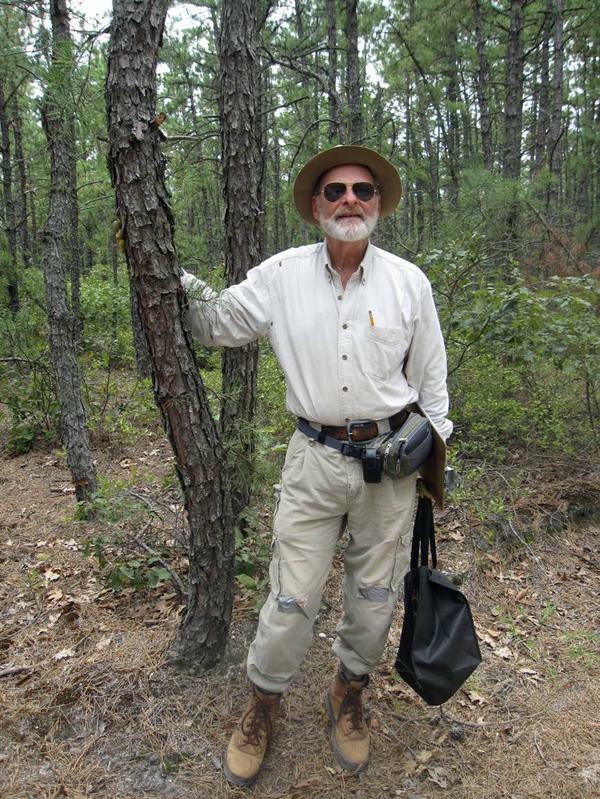 Sponsored by the Northern Research Station of the USDA Forest Service, the goals of this project are to investigate potential differences between seed sources of pitch pine (Pinus rigida) planted in the Silas Little Experimental Forest in 1974 by the late Dr. Thomas Ledig. Local populations may not be adapted to current conditions because of recent climate change, or to future conditions because of further projected changes. Restoration with appropriate provenances adapted to these new climate stresses will enhance forest health, carbon sequestration, and ecosystem sustainability. Our objective is to tell land managers what pitch pine (Pinus rigida Mill.) provenances will be suitable for restoration after dieback or disturbances in the Pinelands National Reserve, and to develop a tool that can be extended to other species and other ecosystems. The novel approach proposed here builds on extensive series of provenance tests and the understanding of growth and wood formation that such common garden tests have provided. Forest physiologists and ecologists already know the triggers that signal the onset of growth in the spring and the cessation of growth in the fall. The task now is to use that knowledge and decades of research on provenance variation to produce a decision tool capable of determining which provenances are the best choices for restoration now, after years of global warming, and after future climate change. Using increment cores, we will measure the trends in annual increment and earlywood/latewood ratios to determine which seed sources are currently suitable for restoration based on knowledge of growth phenology and wood formation. Extrapolation of these trends will determine seed sources adapted to projected conditions in 2030 and beyond.